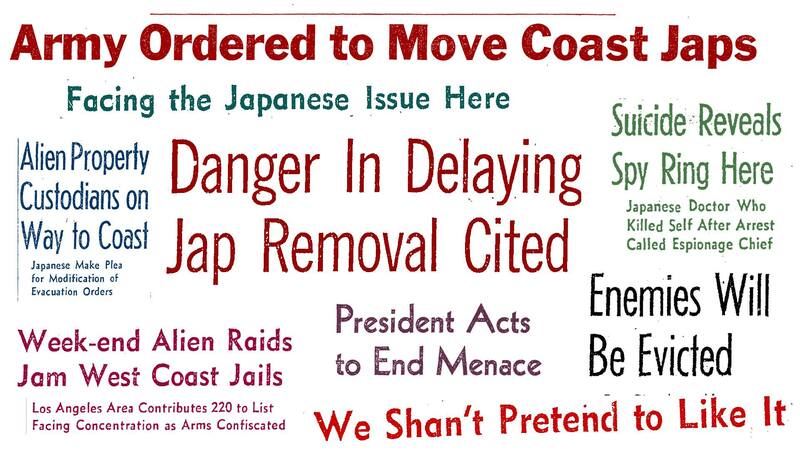 Following the Japanese attack on Pearl Harbor, the media became an active supporter of incarcerating Japanese Americans in concentration camps. It was a time overwhelmed with fake news, extremism and race-baiting – with the media at the heart of it. The Asian American Journalists Association, The Los Angeles Times, the Japanese American National Museum and Asian Americans Advancing Justice will discuss the blunders of the media, the incarceration and the lessons they offer in the era of Trump on Thursday, May 25, at 7 p.m. at JANM’s Tateuchi Democracy Forum, Central Avenue and First Street in Little Tokyo. How did the media become such a partisan in this episode of American history? Why did the media suspend its traditional defense of the underdog and the constitution? Why did it so wholeheartedly believe the flood of fake news? Prof. Richard Reeves of USC and JANM will present a snapshot of the fears after Pearl Harbor and the media’s push to relocate Japanese Americans. Then, Reeves will join a roundtable discussion with Los Angeles Times publisher Davan Maharaj, Karin Wang from Asian Americans Advancing Justice, and mystery writer and former Rafu Shimpo editor Naomi Hirahara. ABC news anchor David Ono will moderate the discussion on how the modern media has moved to correct the errors of the past and what it must do to combat the new wave of deceit and racism. Free, but space is limited and RSVPs are recommended. For more information, call (213) 625-0414 or visit www.janm.org.